President Hosni Mubarak, who ruled Egypt from 1981 until a popular uprising forced him from office in 2011, has been sentenced to three years in prison for graft charges. He has been under house arrest since being released from prison in August 2013. His sons Gamal and Alaa were each handed down four-year prison sentences for their role in embezzling $17.9 million of public funds to renovate presidential palaces. According to state daily Al Ahram, all three were fined a total of $17.6 million, and ordered to return $2.9 million to the state treasury. 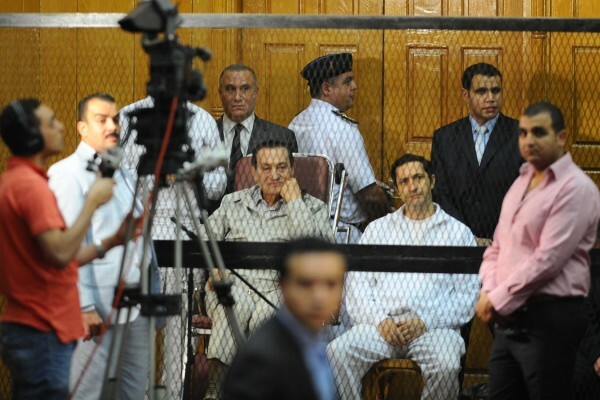 The three face separate corruption charges, while the elder Mubarak still faces a retrial related to the killing of hundreds of protesters between January 25 and February 11, 2011. In his first trial, he was sentenced to life for inciting violence and killing peaceful protesters, but this was later overturned. The verdict came a day after more than 320,000 Egyptian expats voted in 124 countries abroad in a presidential election scheduled to begin in Egypt on May 26 and last until May 27. On Monday, more than 51 million eligible voters will have the chance to choose between former army chief Abdel-Fattah El-Sissi and seasoned opposition politician Hamdeen Sabbahi. A number of polls indicate that El-Sissi is most likely to win with at least 85 per cent of the vote. A number of political factions and opposition groups say they are likely to boycott the ballot. The Monday election is the second presidential vote in three years, since Mubarak was ousted. It comes as part of a political roadmap put in place by the interim government established in the wake of the military’s removal of President Mohamed Morsi, a Muslim Brotherhood member, following unrest last July. Morsi is being investigated for murder, stemming from a 2011 jail break when he escaped detention in February 2011. A month later, at least 530 people were killed when Egyptian security forces began to break up two major pro-Morsi protest camps which had been set up in Cairo’s Rabia al-Adawiya Square and Nahda Square since June 28.